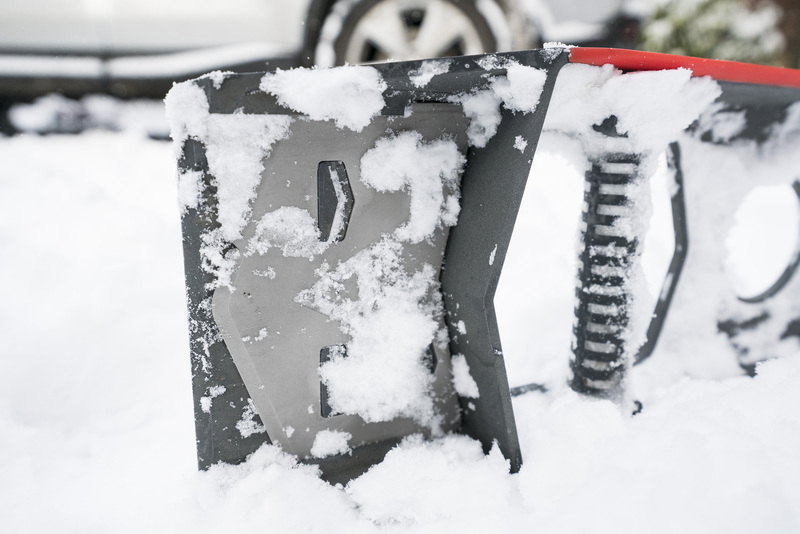 THE ULTIMATE ALL-IN-ONE SURVIVAL SHOVEL. 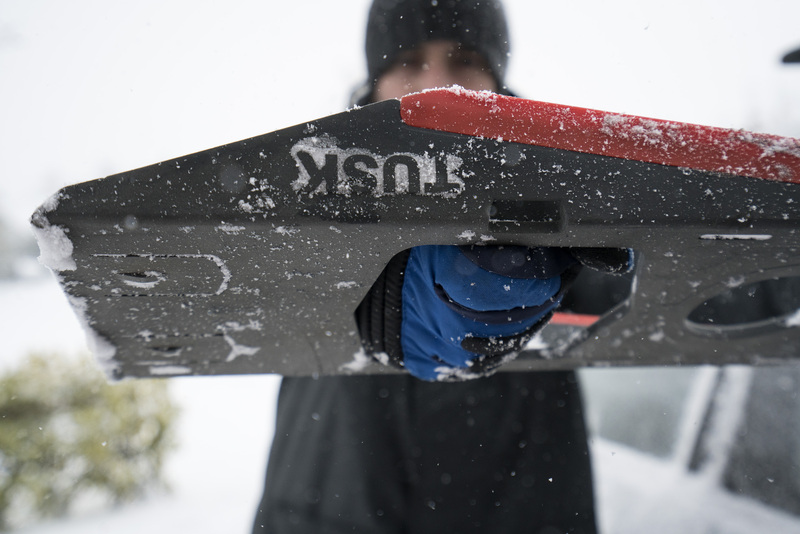 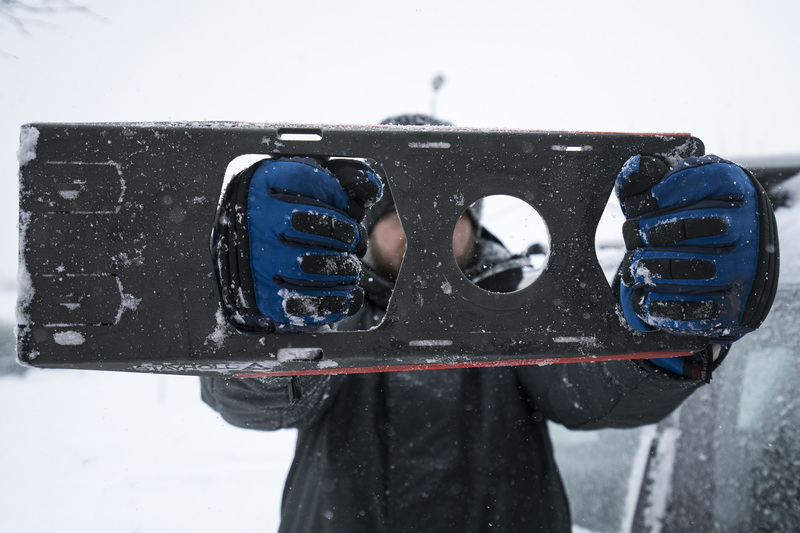 spade, extra wide scraper sheath, durable elastomer wipers and enhanced usability with our POWERGRIP™ handle platform. 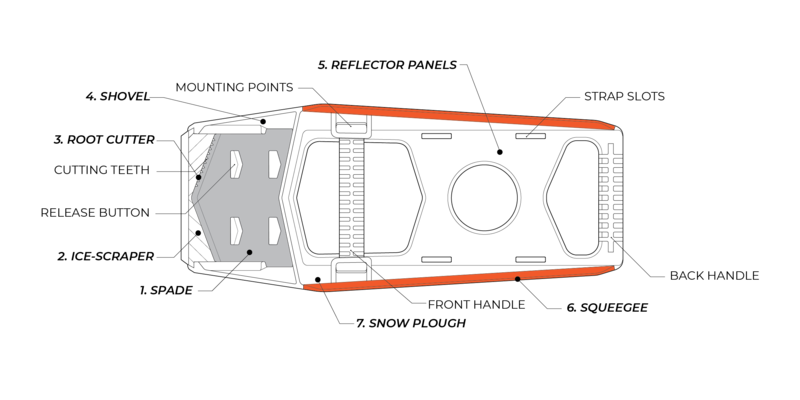 Wiper squeegees to clean your windows to go that extra mile. 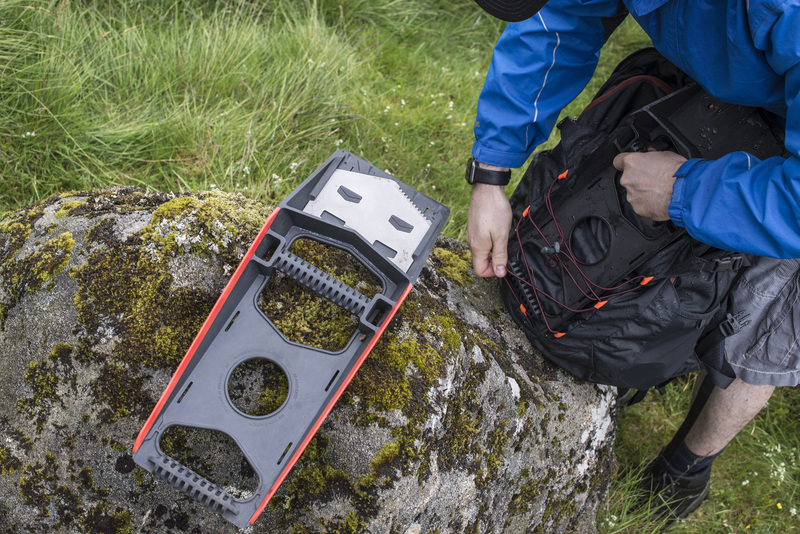 their day started, but could all these be solved by a single tool?" 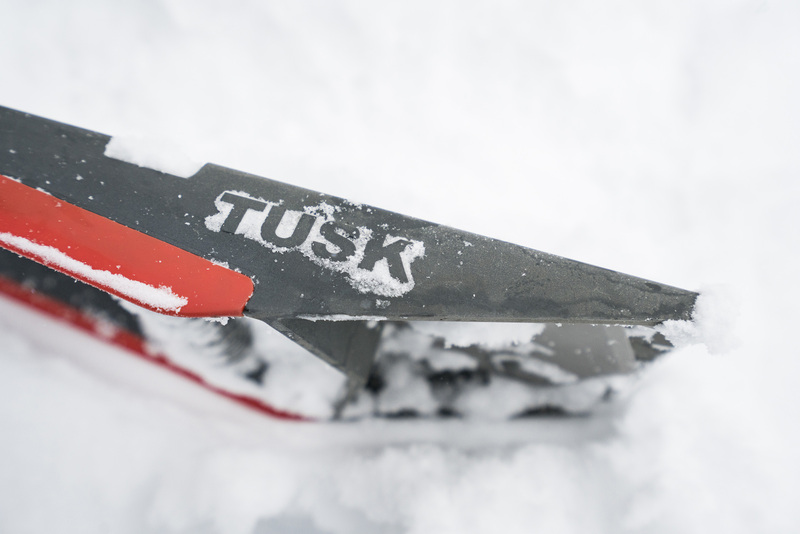 "The Tusk Survival Shovel combines several tools into a compact, stowable form"
"With snowmaggedon so proximal, the TUSK is an essential tool." 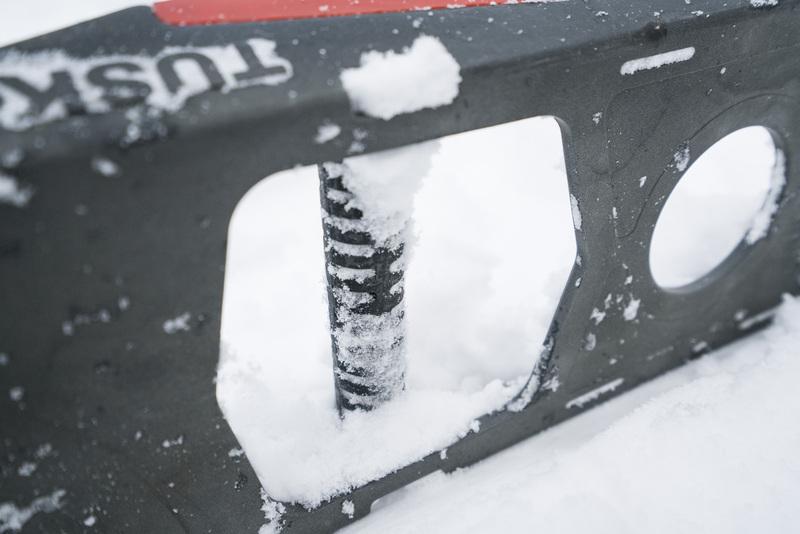 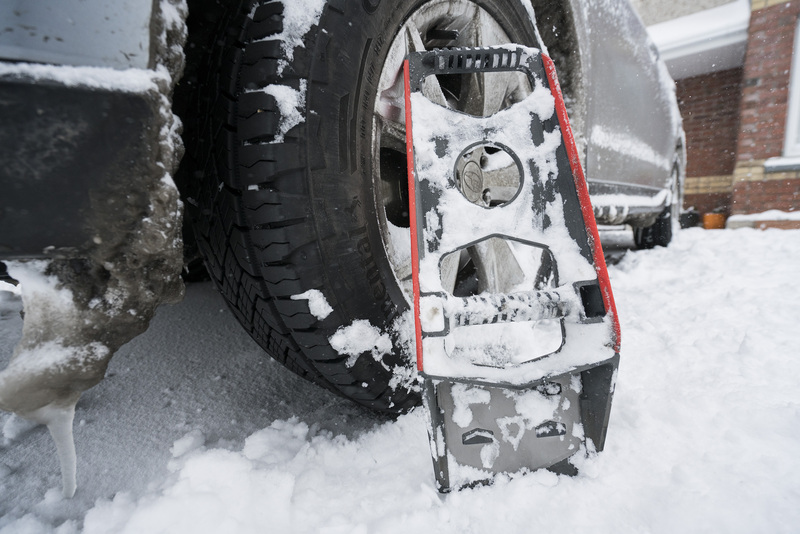 MMTH GEAR™ TUSK combines an impact resistant, lightweight chassis with a core set of features including a snow shovel, retractable steel digging spade, extra wide scraper sheath, durable elastomer wipers and enhanced usability with our POWERGRIP™ handle platform. 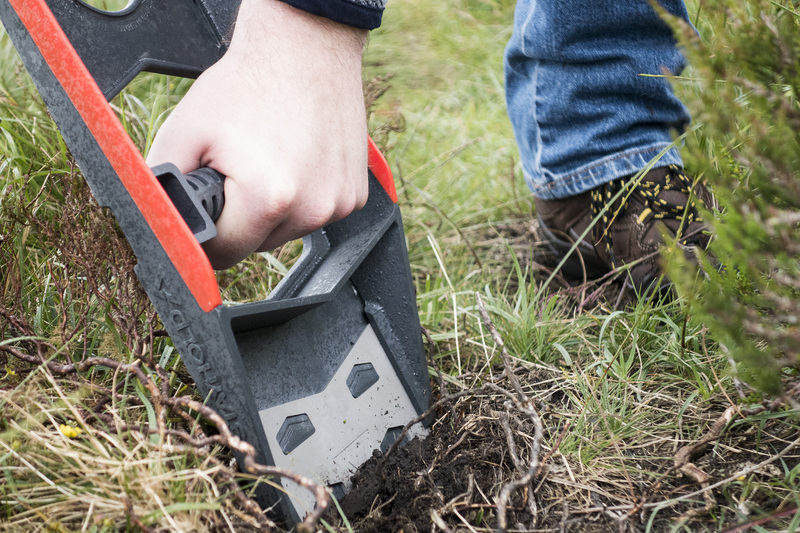 THE BEST SHOVEL IS THE ONE YOU HAVE WITH YOU. 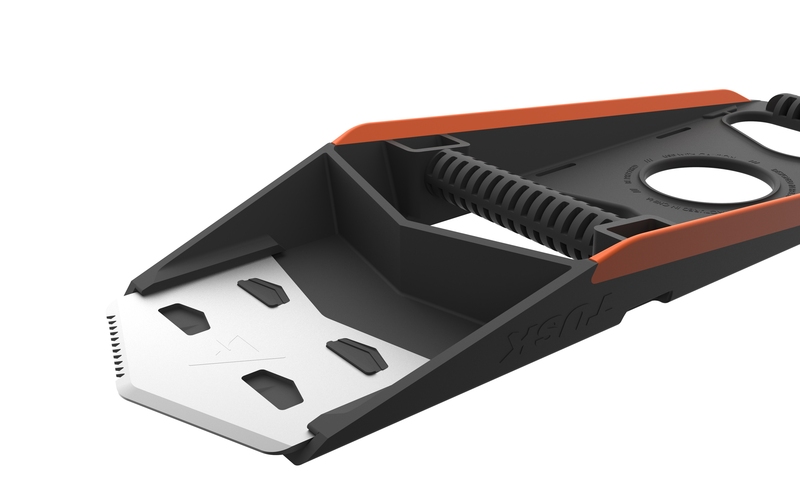 decided to build in extra functionality to cope with other scenarios. 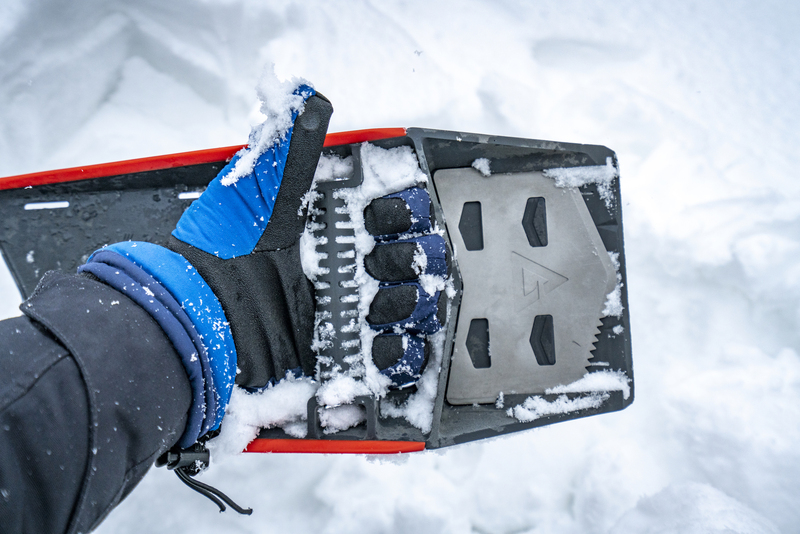 The unit became a multi-function survival adventure shovel comprising of the ice scraper tip, shovel bucket, retractable steel spade, rubber wipers and buffers and dual handle ergonomic design for maximum usability. 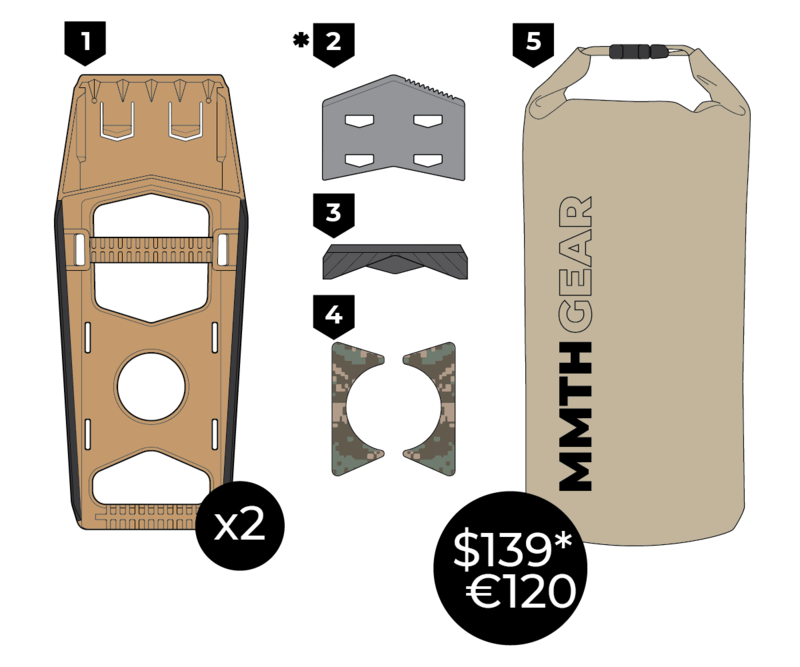 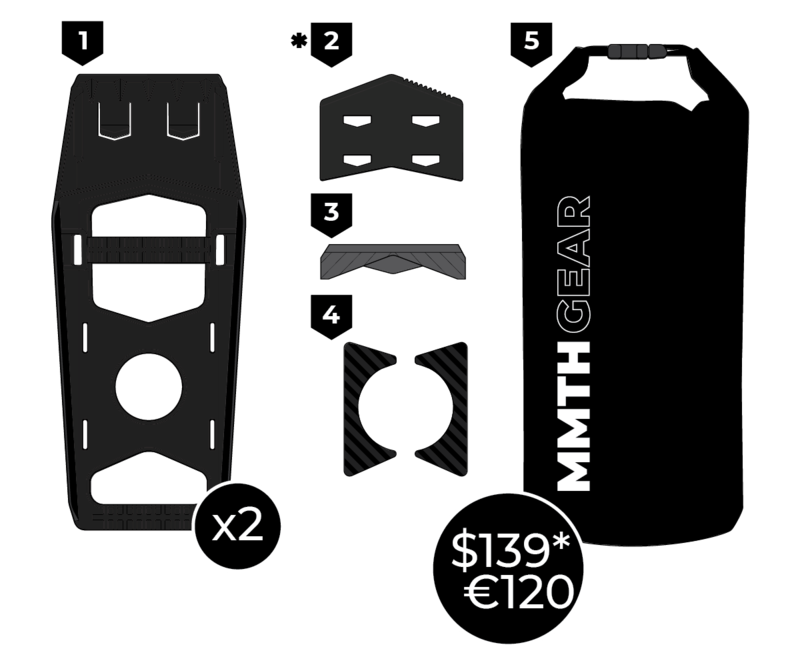 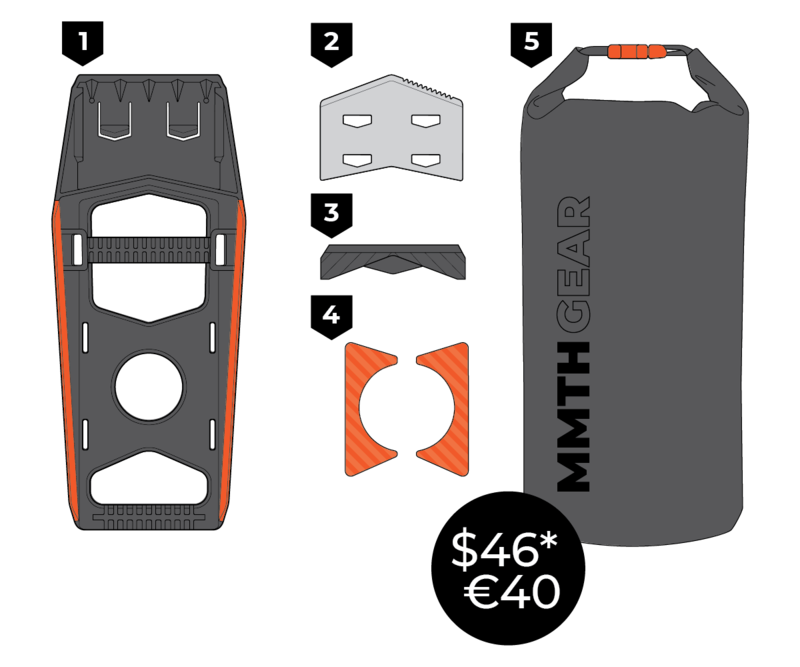 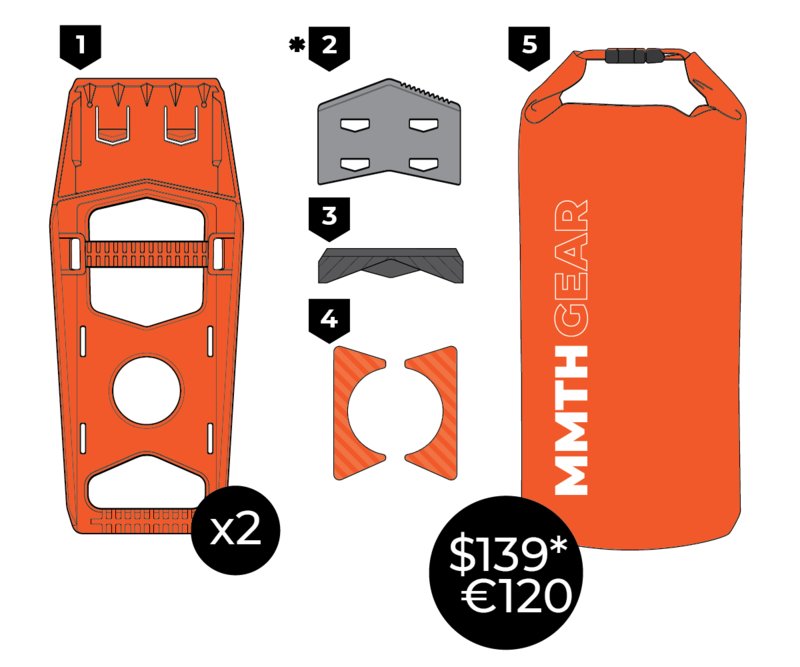 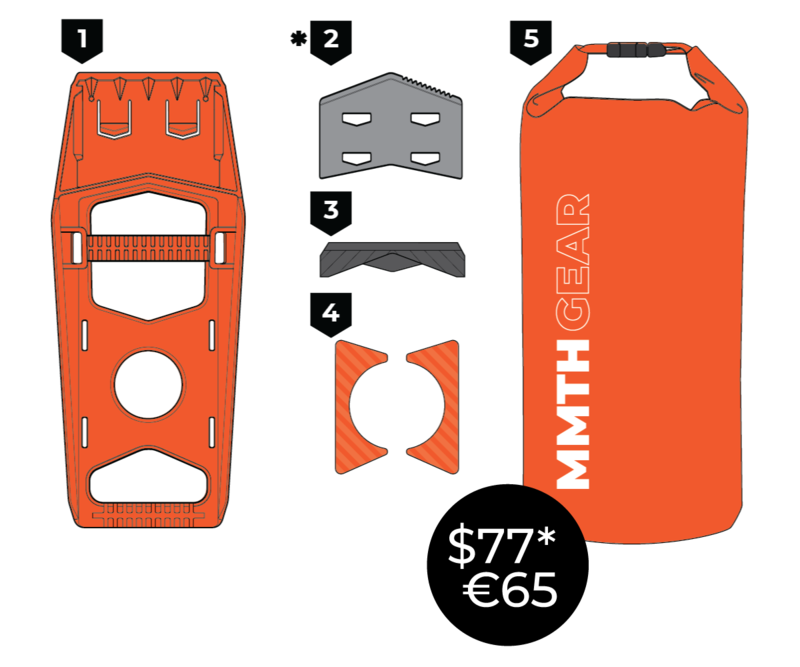 MMTH™ GEAR is a design driven product brand focused on creating extreme products for preparing and enabling your adventure. 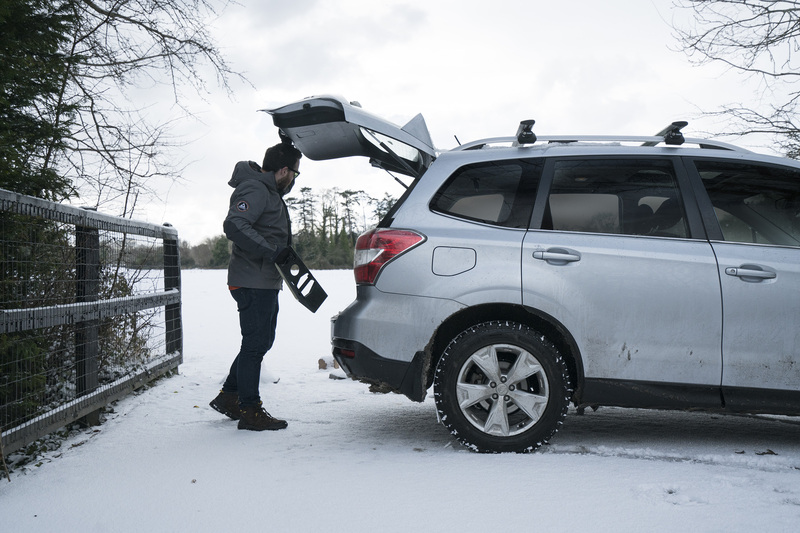 Our core driver is creating new never-seen-before solutions for ourselves, our customers, our clients and our brands. 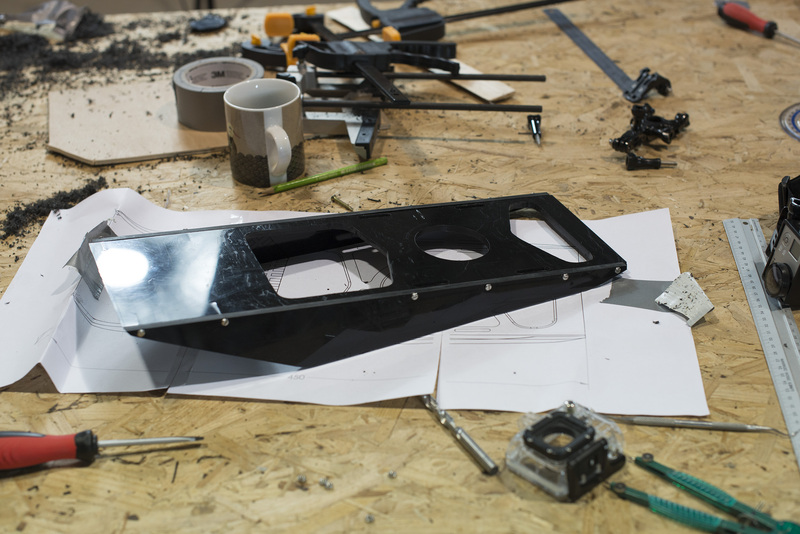 At ROTATION we strive to create great products through research, insight, design, testing and powerful presentation. 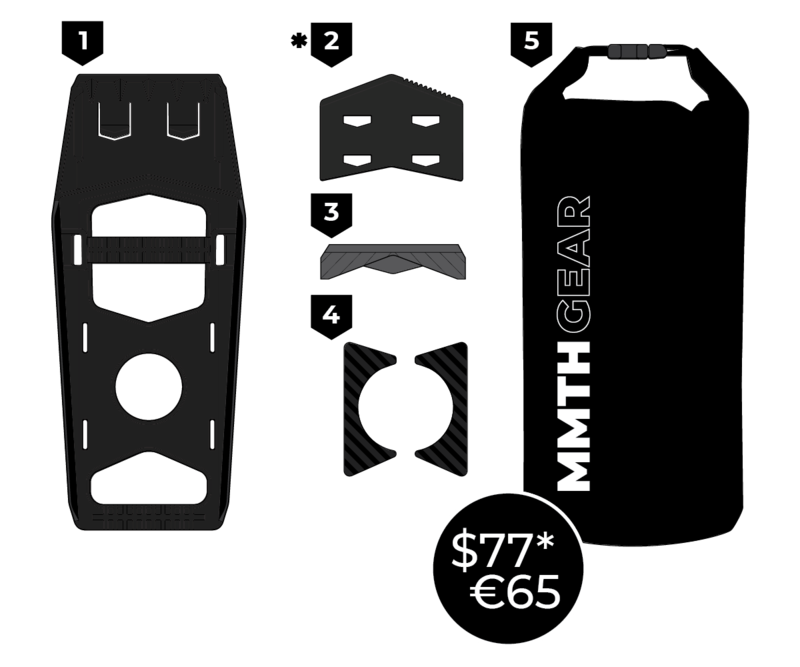 MMTH GEAR is a ROTATION STUDIO Brand.